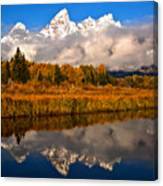 There are no comments for Teton Snow Cap Reflections. Click here to post the first comment. 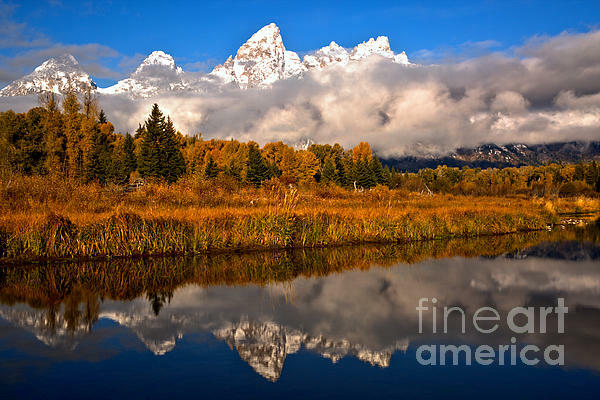 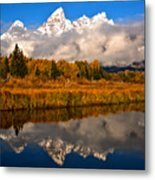 The Snow Capped Peaks Of The Teton Mountain Range Rise Above Thick Morning Fog And Brilliant Fall Colors On A Perfectly Clear Autumn Morning.